We offer professional bat removal in Albany, New York. Bats are considered a pest mainly because of their desire to inhabit the attics and chimneys of homes and apartment buildings. Bat removal is requested frequently when these pests get loose inside a house. Sometimes, people have seen the creature flying around and other times they smelled the foul odor that comes from their droppings (known as guano) and knew to call for help. You may be wondering how bats got into your house in the first place, but after you learn a little bit more about them, you’ll understand. 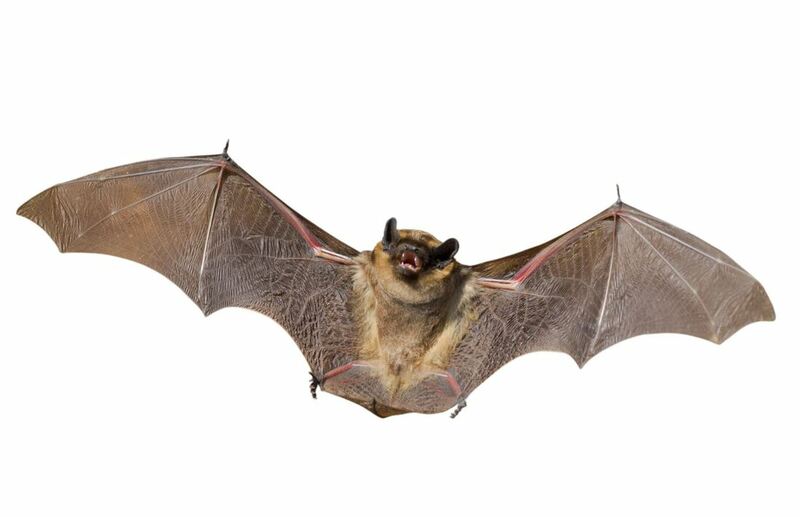 Including wingspan, they range in size from 6 inches to more than 5 feet, although you certainly won’t find the latter in the Capital District; the most common of these pests in New York is the brown bat. They are mainly nocturnal, meaning they’re typically active at night and choose to sleep during the day in dark places, such as a tree, cave, or a secluded area of your home. ​Each type of bat has a different food source, ranging from insects to blood, and unless something is wrong with them, they fly at night to feed. The common misconception is that they’re blind, but that’s not the case. They can see just like a human, but their vision is almost useless at night (just like ours), especially considering they can fly at the speed of a car. The world record was set by the Brazilian free-tailed bat, which flew 99 miles per hour. Step 1: Search the building from top to bottom to find the entry point that bat used to get in. There may be a hole or an opening somewhere near the roof, such as the soffit or vents. Step 2: Search the attic and determine which kind of bat it is to identify the best method to remove it. Step 3: Use the appropriate bat exclusion method. Step 4: Repair or block the hole in the building to prevent future issues. Step 5: Clean all traces of the bat and guano. Bats tend to leave the premises during the night to search for food, so it’s typically best for the pest control company to exclude them at dusk or later, using netting or cones. The goal is to encourage these creatures to leave on their own without trapping and killing them. When done correctly, the process is fast, safe, and more humane. ​If you’ve got a bat problem you need taken care of, call us at (518) 444-5760. Copyright © 2018 Albany Pest Control. All Rights Reserved.